Was anybody saved before Jesus died on the cross for us? Where do the saints from the Old Testament spend their eternity? Where did Moses, Aaron and Noah, and the other believers from the Old Testament, go after death? Did they go to Heaven or Hell, taking into account the fact that Jesus had not payed for all their sins on the cross yet? Lazarus was a righteous man, and when he died he was was carried by the angels to Abraham’s bosom. This is a place totaly different from Hades, whixh is a place of torment. 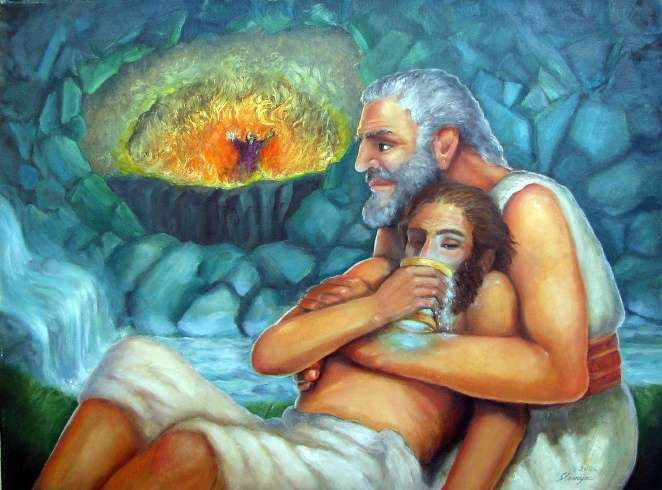 In Abraham’s bosom, the saints of the Old Testament have been comforted, while those from Hell are suffering. None of them could cross from one place to another. The saints from the Old Testament were saved through their faith, which was credited to them as righteousness.